Kids in the Park returns for the Spring School Holidays from Saturday 23rd September to Sunday 8th October. Kids in The Park is famous for its fun program of over 50 activities for your kids to choose from, including a soccer camp, swimming lessons, cooking, creative arts and fun events. Keep them active, challenged and entertained with Sydney’s biggest and best activities program for school holiday fun! The Sydney Observatory runs some great events over the holidays including daily screenings at the new digital planetarium. Most of the films include a tour of the telescope dome and a short Square Kilometre Array promotion. The NSW Rail Museum is a great place to let off a bit of steam. 🙂 Along with big train rides, and little train rides, there is much history and interesting exhibitions to enjoy. Follow the link below for more info. The Powerhouse is attempting to keep everybody happy with the Wiggles Exhibition. Grown-ups, and older kids, can investigate the rise and rise of The Wiggles whilst the kids play and interact with high-tech interactive exhibits. 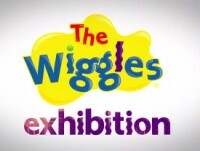 The fact that the Wiggles Exhibition is free with museum entry might also please Mum and Dad. Space, the final frontier, this is another Australian Museum School Holiday Program. Its two week mission, is to entertain your children whilst hoping that they learn something. Not real ones this time, although there a few sharks not that far away, more learning that they aren’t all man-eaters, particularly the biggest. When of course it comes to whales, one of the smallest is the most dangerous. The Australian Reptile Park is a mere hour’s drive north of Sydney and yet many Sydneysiders have never been. There are many Aussie animals to meet, along with all the amazing reptiles. You might also decide to make use of the good picnic and BBQ facilities and children’s play park. You could also ‘çonsult’ your local council’s website for any holiday activities, check your local library notice board, RSL and other club websites.